ye i was gone but now am bakc hi lucario! Yay you're back! Did you fall off the tree or sumthin? I'm glad to know that your unique brand of conflict resolution in stories will be showing up on my sub list again. 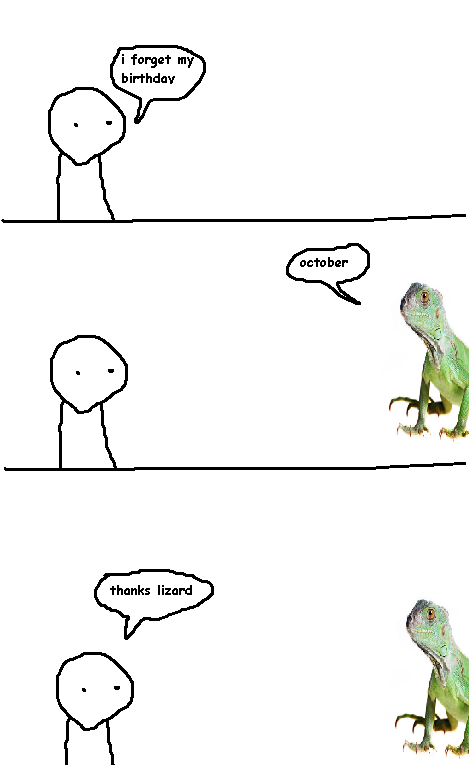 That's a month, not a day, you dumb talking lizard.